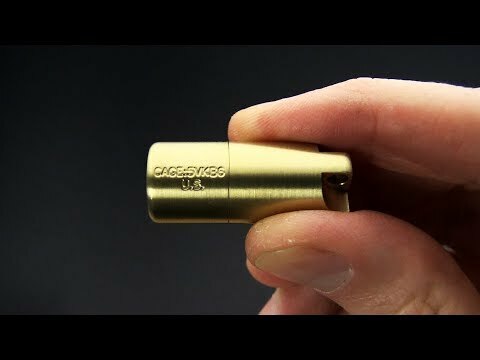 A perfect addition to your First Aid Kit, EDC / Prepper Bag, Car, Kitchen or Backpack this Maratac Split Pea, the smaller version of the popular Peanut Lighter, has a body made from buttery smooth C360 Free Machining Brass. This Small version has also been upgraded with a flat bottom that allows it to be used as a candle in emergency situations. The removable Solid Brass lighter insert allows it to be used as a waterproof pill vial. Popular for the easy of carry the Brass Split Pea can also be stored for an extended period of time without the fluid drying out.